At one great location you can compare as many as 31 models of Chevy, Buick and GMC's side by side, without having to drive all over town. Need a truck? Compare the Chevy Silverado next to a GMC Sierra, or a Chevy Colorado with the GMC Canyon. Interested in an SUV or Crossover? Decide between 13 different choices of all sizes, and budgets. Create your appointment with a team member for a personalized, unique experience, where you come first. 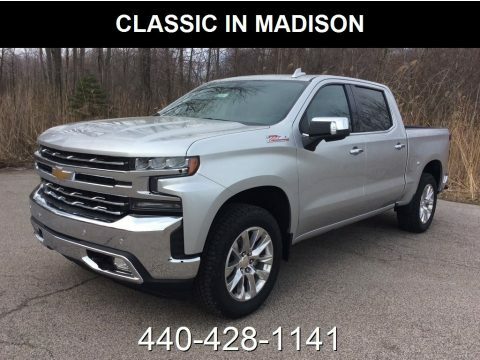 Visit www.driveclassicGM.com, or call us at 440-428-1141 right now! !We are located East of Cleveland, we have a professional and knowledgeable Sales Staff, our Management Team is one of the best in Lake County and if you have had credit challenges in the past, give one of our Business Managers a call at 440-428-1141, they will be happy to assist you. We look forward to meeting you and earning your business!